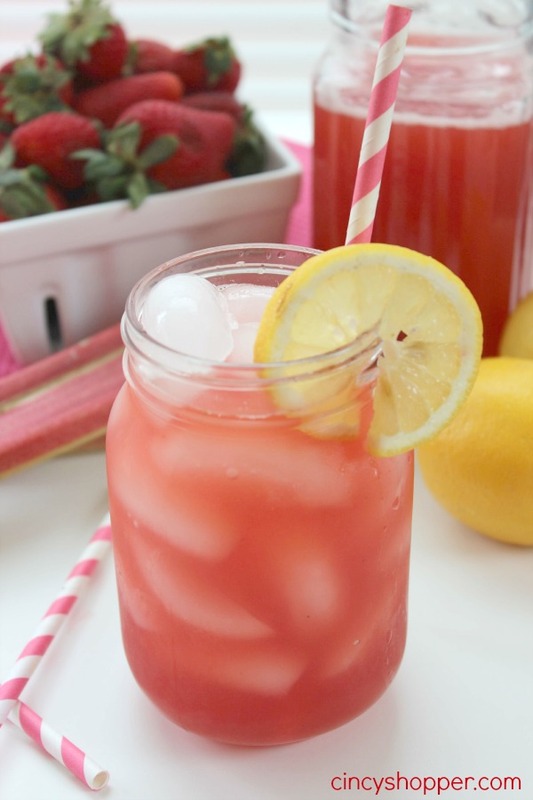 If you are looking for a refreshing summer lemande you will love this Strawberry Rhubarb Lemonade Recipe. 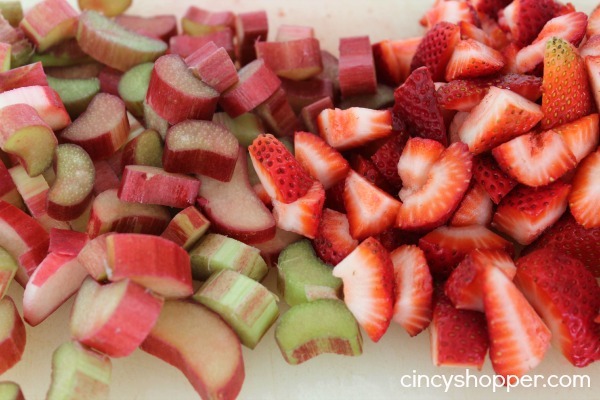 Since I was a child rhubarb has always been one of my favorite summer foods. I love it in pies, breads, drinks and all by it’s lonesome (give me a few stalks and a salt shaker). My daughter is a huge fan of rhubarb too! We had a little grill out for my daughter the other day. I mentioned her grill out when I shared our Pineapple Chicken Kabobs. 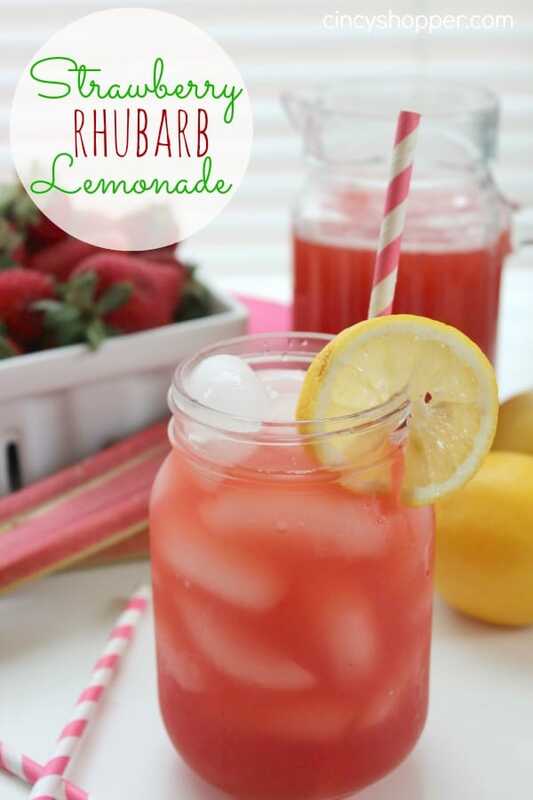 I whipped up this quick and easy rhubarb lemonade for the girls to enjoy will all of their grill out food. This was my first time making strawberry rhubarb lemonade. My grandmother use to make huge jugs for our family picnics while I was growing up. Absolutely delish and refreshing. I purchased quite a few stalks of rhubarb at Kroger. Rhubabrb is not cheap. Luckily I kept the cost down by finding marked down lemons and strawberries for just $1.29 at Aldi. I loved having it in our back yard as a child. I felt the need to splurge to make this lemonade and a pie too! 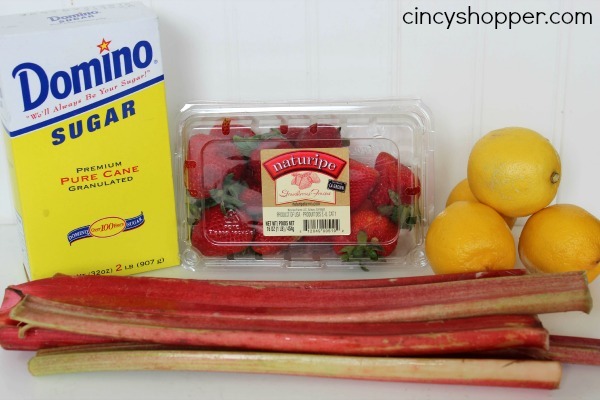 Place rhubarb, sugar, and water in a large pot and boil for 5 minutes. 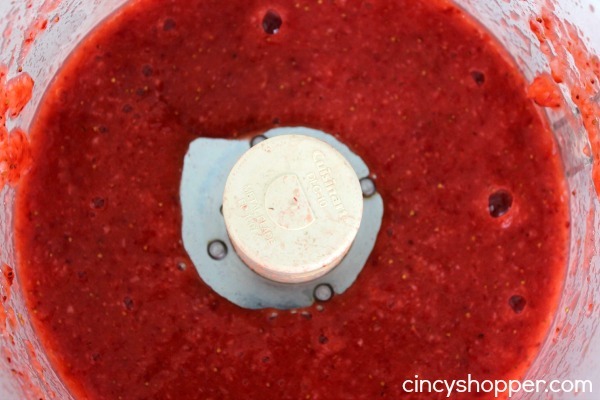 Remove from heat and add in strawberries. Allow to sit for 45 minutes. Strain mixture through a sieve or cheesecloth. Rhubarb is so good. 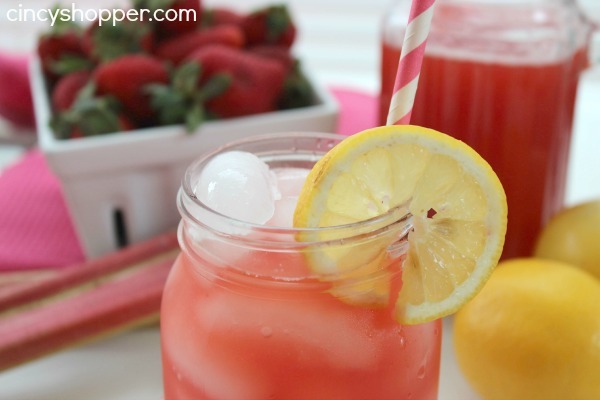 The sweet and tart flavors in this lemonade were perfect. I know I will be making it quite a bit this summer. My hubby who does not like rhubarb loved it too! This looks delicious! I just started a linkup for garden harvest recipes called Eating Inside the Box! We’re starting with rhubarb. It would be awesome if you would share this with us!